The Bolle Safety brand is one of the most trusted brands in safety eyewear and is regularly supplied to military and law enforcement organisations. Ballistic protection according to STANAG 2920 (NATO Standardization Agreement - the adoption of standards for ballistic protection levels and testing) provides users with an excellent level of protection against high speed particles and splinters (high resistance). 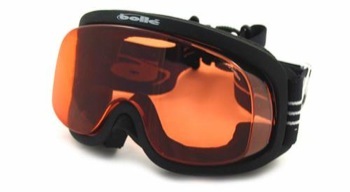 Compatible with all types of helmets, the perfectly ventilated X800 goggle is advisable for extreme situations. Lightweight, low profile and fitted with a panoramic ballistic lens, the X800 goggle offers increased protection with the best ventilation system. $89.95 elsewhere, Glenn's price for his ONE pair is $49.95!